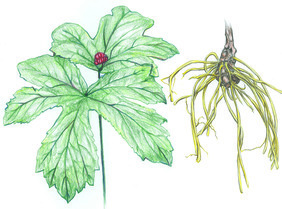 Ships in fall 2019 (Hydrastis canadensis) Plants up to 16" with light green leaves, small flowers in late spring followed by red berries. Yellow rhizome is planted by root divisions in the fall. A mature plant can be divided 3 to 5 times. Requires 75% shade in rich soil. Plant grows from southern Canada to Georgia, Alabama, and Kansas. Medicinal: Well known to contain powerful antibacterial properties and has been used to treat inflamed mucous membranes. 8 rhizomes. Comes with our goldenseal growing guide, also available here as a pdf. 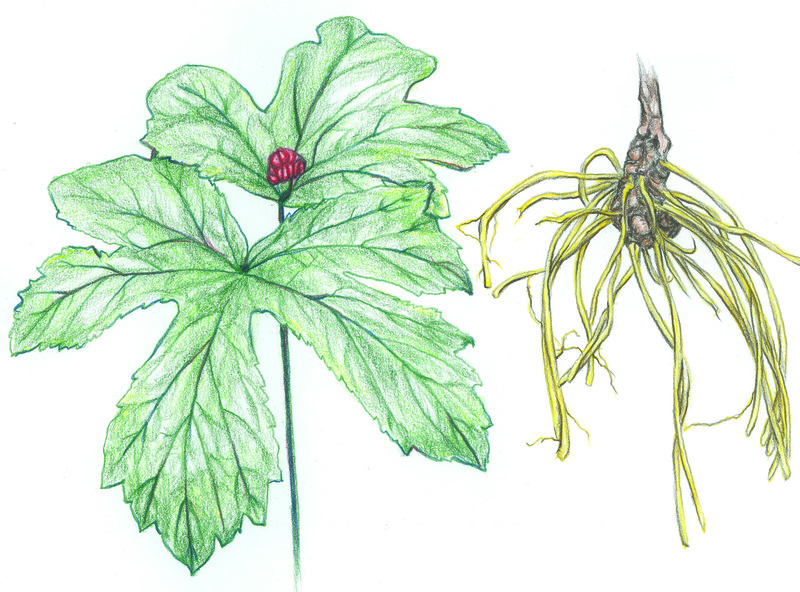 Goldenseal is on the Appendix 2 list of the CITES (Convention on International Trade in Endangered Species). It is also on the United Plant Savers primary list. Wild stands of these plants are disappearing from the woods of N. America. Whenever we plant these native plants in our woodlands we help ensure their long-term survival. Planting instructions included.